CDO – The Hottest New Thing In Technology (No Not That CDO)! The growing success of big data initiatives is driving businesses to collect 2.5 quintillion bytes of data each day. Beyond simple user demographics, big data tracks social media engagements, customer journeys and interactions with customer service. Data initiatives aren’t limited to consumers either, employees performance, operations, and financial transactions can all be tracked, analyzed, and improved – with the right data. The rise of big data in business has led to the creation of a new executive position, the chief data officer, or CDO. In 2016, 54% of Fortune 1000 companies had CDOs, responsible for strategy, maintenance, policy and stewardship of all the organization’s data. CDOs must use data to create value for their company, streamlining operations, predicting market trends, and launching new products and services are just a few areas where data can be valuable to a company. With more than 80% of big data initiatives showing general business benefits, companies without a CDO will soon fall behind. 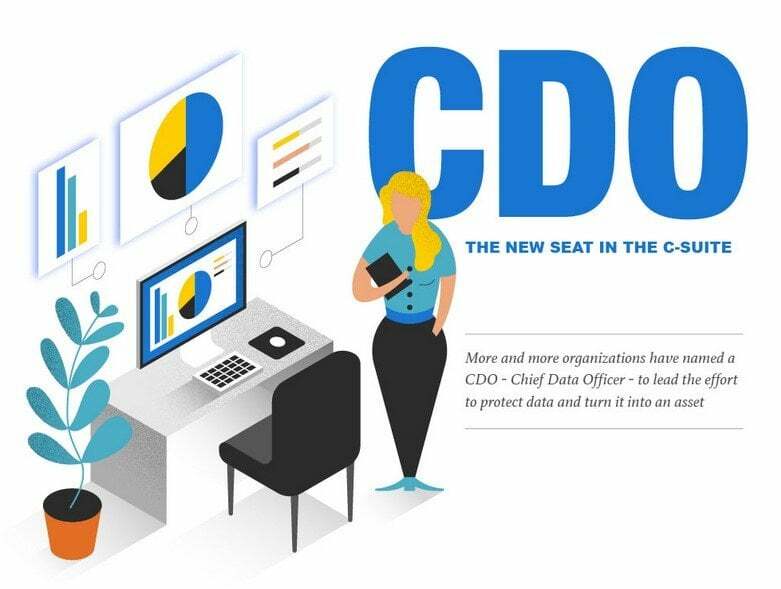 Over the last two decades, responsibility for corporate data has shifted from the Chief Information Officer (CIO) to the CDO. This represents more than a change in name, but also a greater focus on the analysis and usefulness of data beyond the world of IT. As one of the first worldwide CDO appointments, Cathryne Clay Doss of Capital One, focused on collaborations between IT, market analysis, and supply chain management. Today, CDOs are responsible for overseeing all data initiatives, as well as for the safe and secure storage of corporate data. The role of CDO is essential to creating data sets that add value, as not all data is created equal. In order to allow for easy and accurate analysis, data must be consistent, accurate and up-to-date. Successful data initiatives also require business to choose the right analytical approach for best results. Companies that employ a CDO collect more data than those who don’t. They are better able to use data strategies to guide innovations, maximize value, and increase operational efficiency. With all these potential benefits, it should be no surprise that CDOs are spreading beyond the world of finance and technology, and into nearly every U.S. industry sector. In fact, in 2011, Chicago became the first city to appoint a municipal CDO. Los Angeles and New York City added CDO positions two years later. And in 2016, Washington, D.C. appointed its first CDO.